Egypt and Germany signed on Sunday two agreements worth €150.5 million for technical and financial cooperation, the Egyptian Ministry of Investment and International Cooperation said. 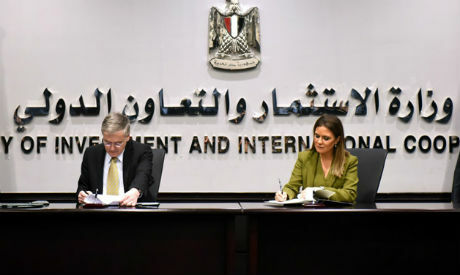 In an official statement, the ministry said the agreements were signed by Minister Sahar Nasr and German Ambassador to Cairo Julius Georg Luy. The first agreement is on technical cooperation through a grant worth €48 million in the education sector under President Abdel-Fattah El-Sisi’s initiative to invest in human capital, as well as support infrastructure, the environment, agriculture, water and sanitation, and small and medium-sized enterprises (SMEs). The second agreement is on financial cooperation and is worth €102.5 million to fund a number of projects in the fields of electricity, renewable energy, agriculture, and SMEs. Nasr said the grants for SMEs would be directed to the most deprived areas to benefit youth and women. The minister praised the cooperation between the two countries, highlighting German investments in Egypt, which are totaled at $641.4 million. Lowe praised the cooperation with Egypt, saying that the agreements come in the framework of boosting ties between the two countries.